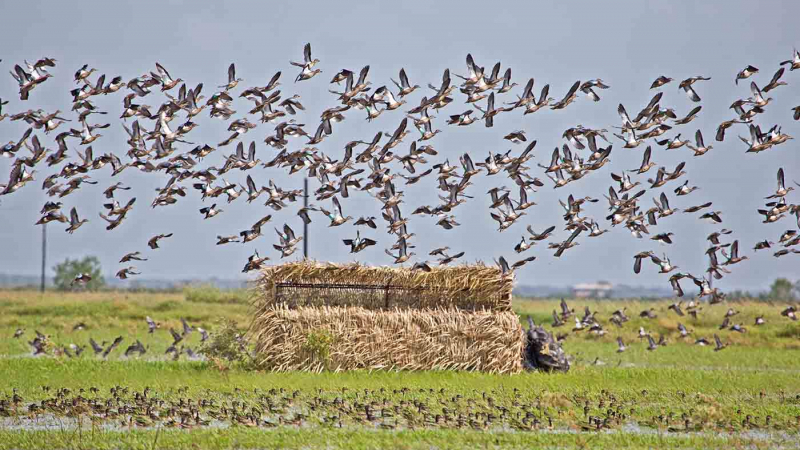 In addition to providing great waterfowl habitat and controlled pressure we provide our members with invaluable information that helps everyone shoot more birds. Along the Texas Gulf Coast you absolutely need to hunt exactly where birds were the day before, to do anything less is misadventure. No one else goes to the efforts we do to help you have a great hunt. On a bi-weekly basis we scout the properties, often with up to four managers spending 8-hours each, the findings are then passed on to the membership. We also send out on a weekly basis the club newsletter (see examples under Gallery) that gives the membership information on the club such as, harvest statistics, ponds where limits were shot, best techniques to bag birds, etc. In addition we track the migration of birds along the Central Flyway and Texas Gulf Coast through our contacts with refuges, managers, guides, and biologists (see examples under Migration Report). In the Member Only Section you find not only maps to all of our properties, but maps of all the individual ponds, complete with duck blind locations, roads, and other pertinent information. Our managers are dedicated to making your season the best it can be by sharing their expertise in hunting the properties and sharing feedback they get from other managers and members. All of this information is included in your membership, it takes a great deal of effort to assemble all this information, but the smiles from all coming out of the field is well…priceless!